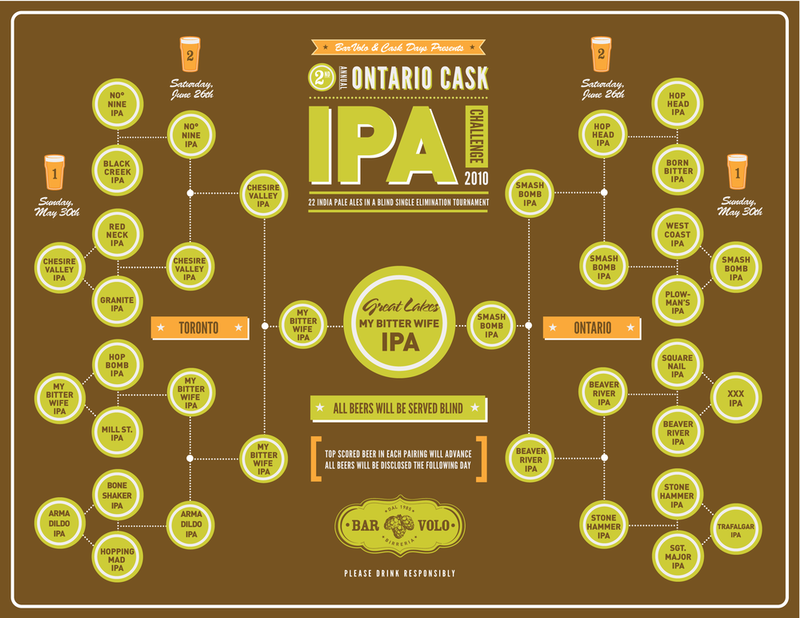 A satellite event we host annually to celebrate one of our favourite styles of beer, India Pale Ale. The event features up to 32 cask-conditioned india pale ales served blind through gravity cask. 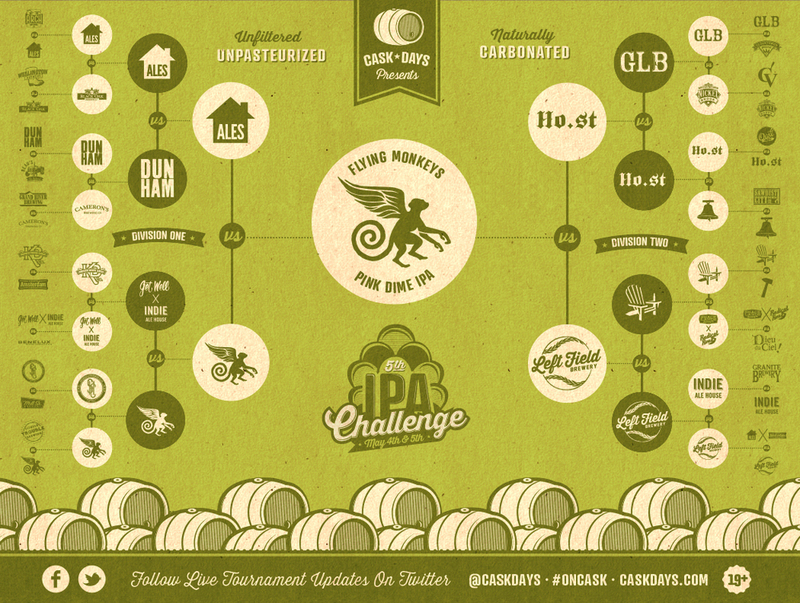 Participating breweries will compete heads up in a single elimination bracket tournament. The top score of each beer pairing advances to the next round. Attendee's have the opportunity to rate and score beers blind over three rounds. Beers are revealed as their knocked out of the challenge.